Inspired by a series of photos I took on a beautifully still and tranquil August evening at Harty Ferry, Oare Marshes, Nr. Faversham, Kent. 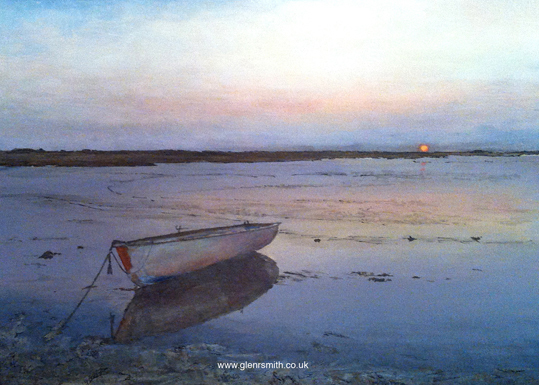 Oare Marshes Sunset is framed and ready to hang, with a cream coloured mount and a natural oak moulding, Measuring 500mm x 400mm. The image size is 356mm x 256mm.